Antinitus® is a patch designed to reduce discomfort from tinnitus. * It contains a unique microscopic raster, which, with the help of incident visible and thermal light, creates a regular and organised fractal light. In contact with fractal light, water molecules in biological tissues adopt a more coherent state. 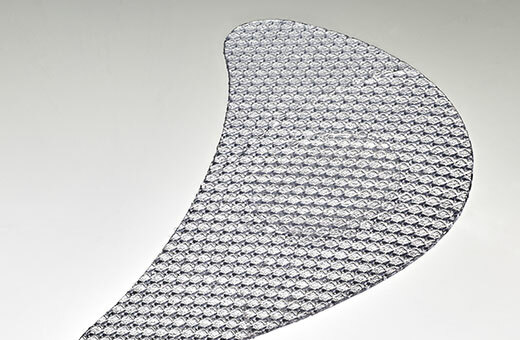 This technology is used in the patch as a non-invasive and passive medical device with a high level of safety. The hypothesis is that an elevated reorganisation of water in the biological environment may modulate the chaotic audio loops in the auditory system that represent the various conscious sound experiences that we call tinnitus and hence provide relief. There is a great deal to investigate in respect of how this works in exact terms. The overall aim is to develop a deeper understanding of tinnitus and provide better help for those suffering from tinnitus. * The effect may vary, according to clinical studies 30-50% experience relief. Tinnitus is an unwanted noise, caused by many different reasons. It is individual, although most people usually experience it as a high-pitched tone or humming, but it can also be perceived as hissing or clicking noises.